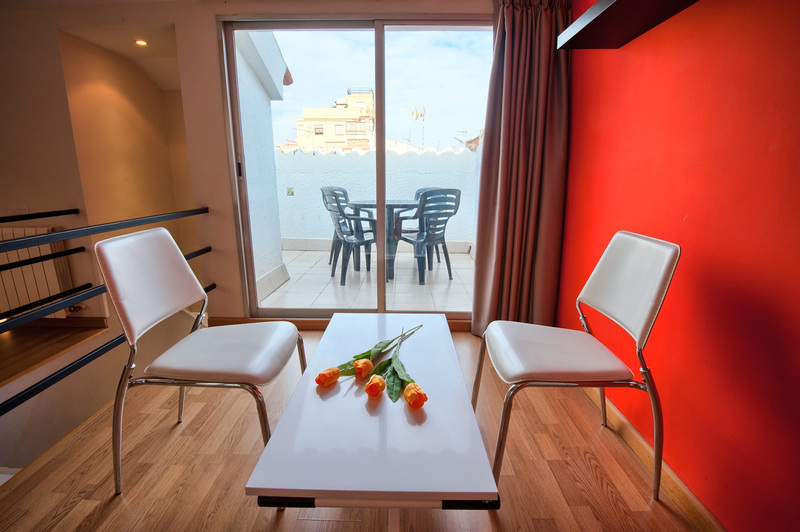 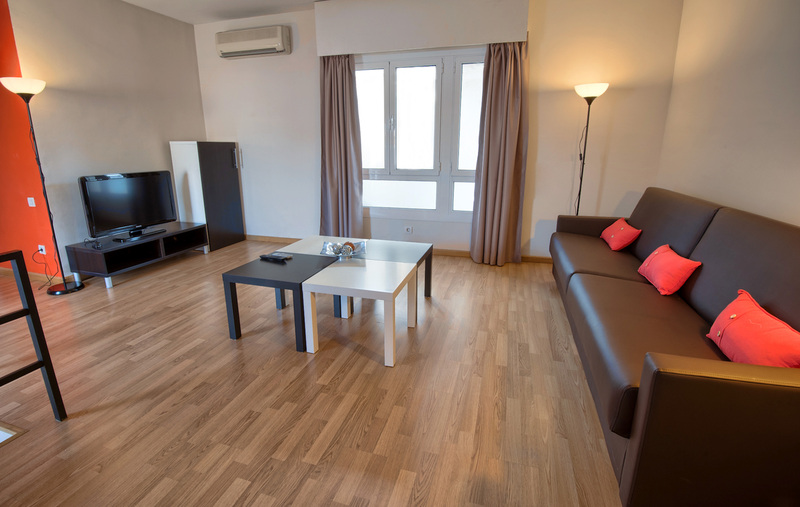 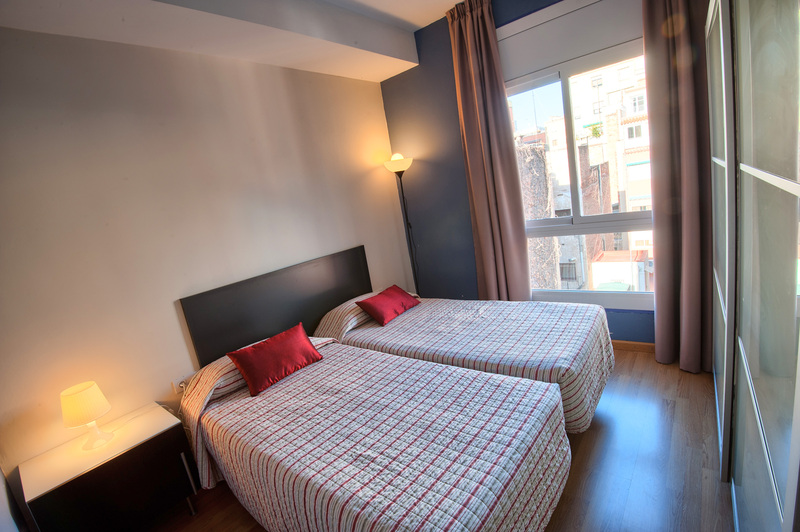 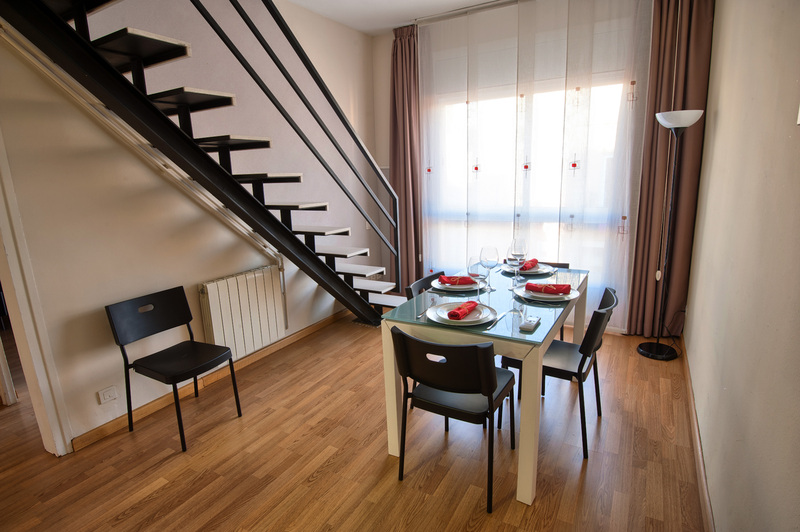 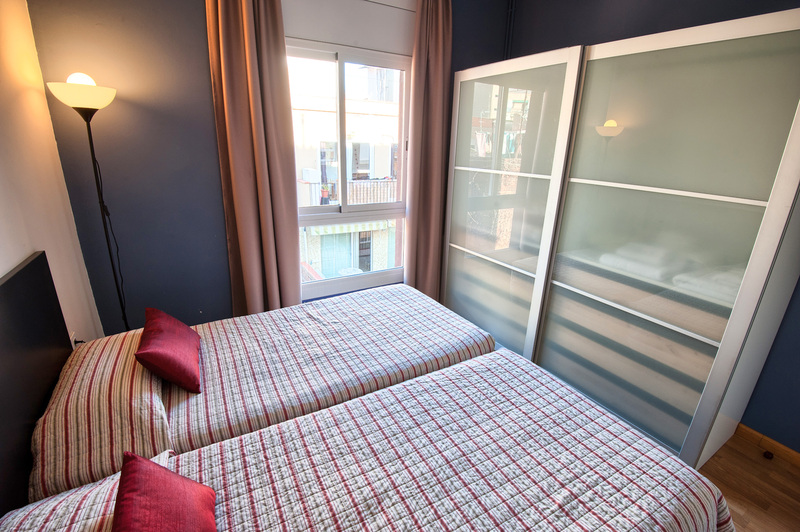 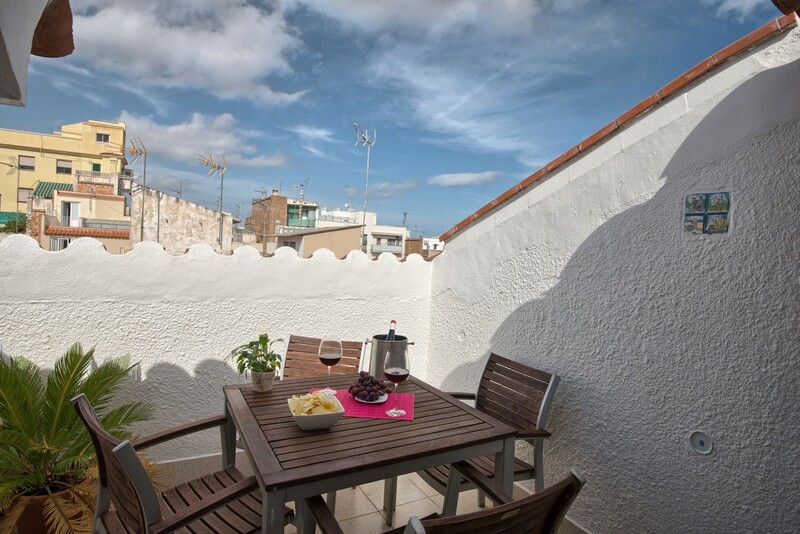 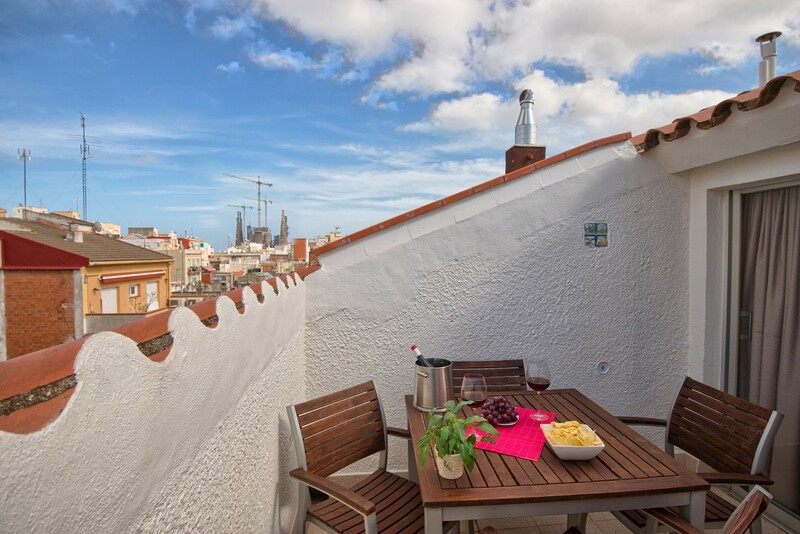 This luxury apartment in Barcelona ready for up to four people is our largest accommodation in Barcelona option located near the Sagrada Familia. 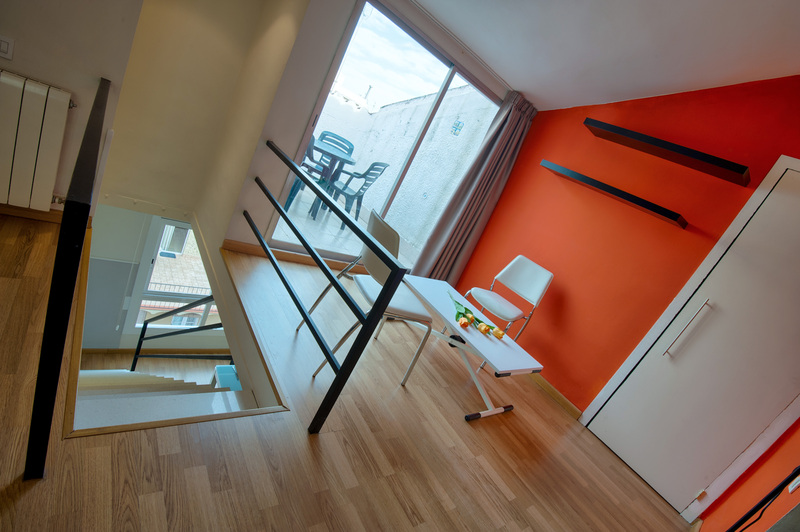 It measures 80 square meters split in two levels. 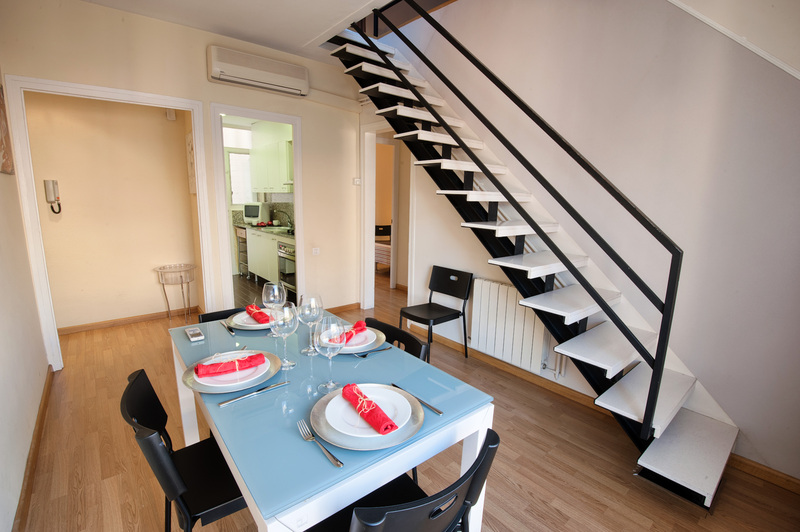 The lower level features a fully equipped kitchen, a dining room, a single bedroom, a double bedroom and a courtesy bathroom. 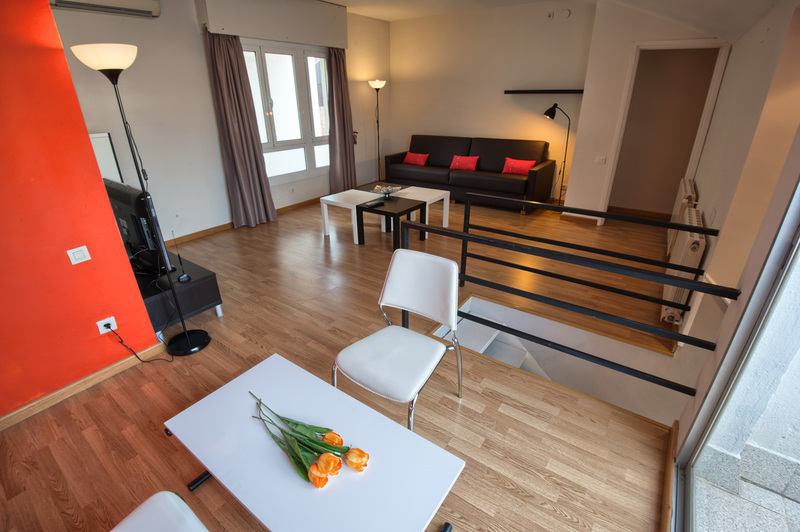 On the upper level there is a large open space living room area with plenty of space to work and a comfortable double sofa bed. 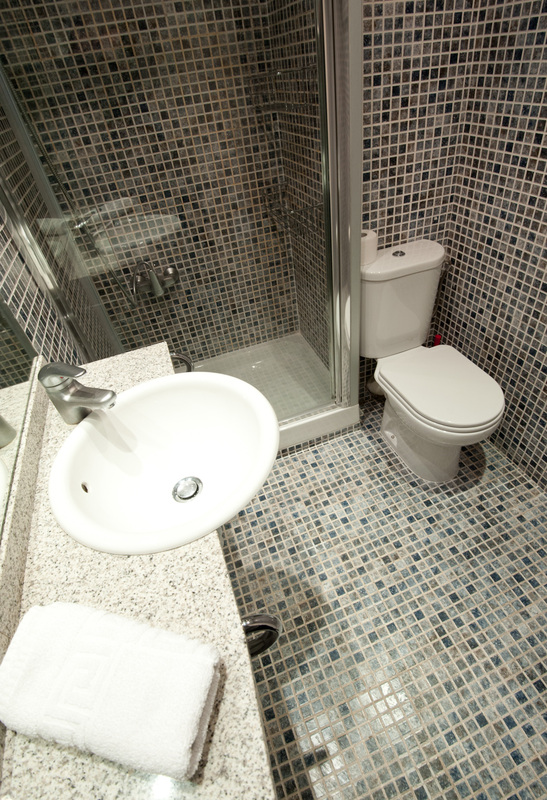 On this floor there is also a full size bathroom and a small terrace with table and chairs to enjoy the early morning breakfast or evening snacks. 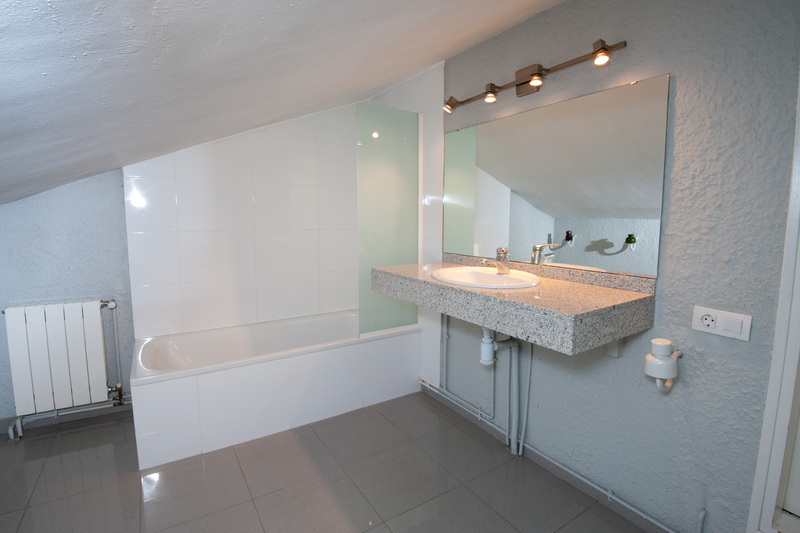 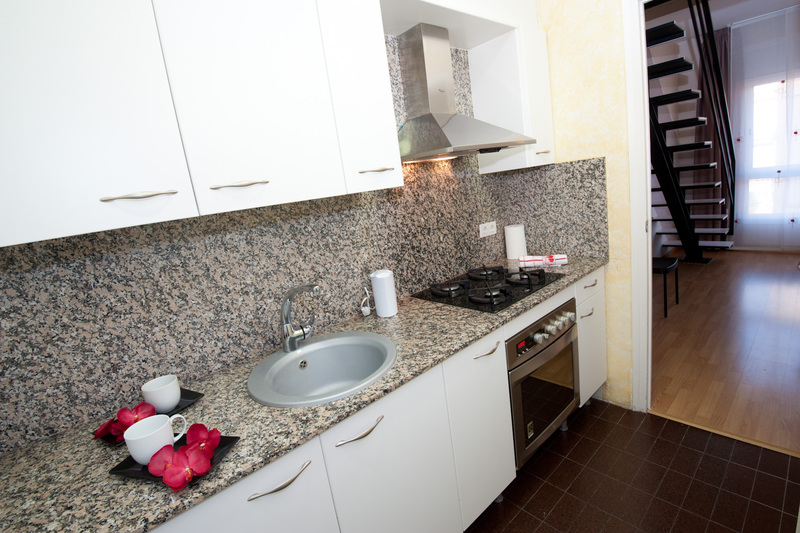 The apartment is located on the top floor which gives to the apartment a lot of privacy.